The Office of the National Coordinator for Health IT held a meeting of the HIT Policy Committee, Adoption/Certification Workgroup on February 25, 2010. The topic was "HIT safety." The agenda, presenters and presentations are available at this link. ... In the past two years, we have received 260 reports of HIT-related malfunctions with the potential for patient harm – including 44 reported injuries and 6 reported deaths. Because these reports are purely voluntary, they may represent only the tip of the iceberg in terms of the HIT-related problems that exist. Even within this limited sample, several serious safety concerns have come to light. The reported adverse events have largely fallen into four major categories: (1) errors of commission, such as accessing the wrong patient’s record or overwriting one patient’s information with another’s; (2) errors of omission or transmission, such as the loss or corruption of vital patient data; (3) errors in data analysis, including medication dosing errors of several orders of magnitude; and (4) incompatibility between multi-vendor software applications and systems, which can lead to any of the above. This is a technology almost universally touted as inherently beneficial, right up to our most senior elected leaders, who are now pushing this unproven technology under threat of penalty for non-adopters - certainly a precedent, especially in a supposedly democratic country. I have given examples on this blog about how this belief about the universal goodness of healthcare computing is itself inherently idealistic - and unrealistic. Example 1: An error occurred in software used to view and document patient activities. When the user documented activities in the task list for one patient and used the “previous” or “next” arrows to select another patient chart, the first patient’s task list displayed for the second patient. Example 2: A nuclear medicine study was saved in the wrong patient’s file. Investigation suggested that this was due to a software error. Example 3: A sleep lab’s workstation software had a confusing user interface, which led to the overwriting and replacement of one patient’s data with another patient’s study. Example 1: An EMR system was connected to a patient monitoring system to chart vital signs. The system required a hospital staff member to download the vital signs, verify them, and electronically post them in the patient’s chart. Hospital staff reported that, several times, vital signs have been downloaded, viewed, and approved, and have subsequently disappeared from the system. Example 3: An improper database configuration caused manual patient allergy data entries to be overwritten during automatic updates of patient data from the hospital information system. Example 1: In one system, intravenous fluid rates of greater than 1,000 mL/hr were printed as 1 mL/hr on the label that went to the nursing / drug administration area. Example 2: A clinical decision support software application for checking a patient’s profile for drug allergies failed to display the allergy information properly. Investigation by the vendor determined that the error was caused by a missing codeset. Example 3: Mean pressure values displayed on a patient’s physiological monitors did not match the mean pressures computed by the EMR system after systolic and diastolic values were entered. Example 1: An Emergency Department management software package interfaces with the hospital’s core information system and the laboratory’s laboratory information system; all three systems are from different vendors. When lab results were ordered through the ED management software package for one patient, another patient’s results were returned. Example 2: Images produced by a CT scanner from one vendor were presented as a mirror image by another vendor’s picture archiving and communication system (PACS) web software. The PACS software vendor stipulates that something in the interface between the two products causes some images to be randomly “flipped” when displayed. The above is from FDA (2010 internal memo here) and by their own admission under-represents the problems, perhaps massively. Most of these errors are inexcusable from an engineering and quality perspective. Unfortunately, there actually is no comprehensive data on the true magnitude of the problems. 44 injuries and 6 deaths: tip of the iceberg? The paper "adds little that is new or that goes beyond what a reader might find in a major city newspaper", the reviewer wrote. Little that is new to whom, exactly? Where are the extant papers on the scarcity of such data? I am also highly uncertain as to which "major city newspapers" the reviewer was referring to, as I've rarely if ever read articles in newspapers about the paucity of data on adverse consequences of HIT or the remediation of the paucity. One reason for writing the paper was due to the fact the "major newspapers" - and the medical and medical informatics journals - largely avoid such issues entirely. This reviewer continued with the frivolous comment that "proposing a classification of sources of unintended consequence and analysis of reasons for undereporting of each type in the resulting classification could be a useful addition to the field." Ironically, I actually devoted an entire section of the paper to reasons for under-reporting and scarcity of unintended consequences, broadly speaking, although that this wasn't the paper's main purpose. Its purpose was to point out the dangers inherent in such an information scarcity. It is also hard to granularly classify variants of a phenomenon on which there is scarce data to begin with. Rather than revise the paper, I may simply put it in the public domain and send it to my elected representatives involved in healthcare IT policy. I'd done this with another paper I'd written in 2007 on EMR's and postmarketing drug surveillance that had received a mysteriously similar "could have read this in any newspaper" critique. In summary, the light is starting to shine on HIT dangers. It is also increasingly recognized by regulators such as FDA that "data scarcity" is a problem of major significance ("tip of the iceberg"), although there are those in this sector who would prefer to keep physicians and patients in the dark on this issue and keep such data scarce. Finally, while Shuren presented a number of options regarding FDA involvement in HIT regulation, he wrote that "in light of the safety issues that have been reported to us, we believe that a framework of federal oversight of HIT needs to assure patient safety." This itself represents a major change in the culture of HIT. Addendum: the Huffington Post Investigative Fund wrote about this meeting in an article entitled "Experts: Safety Oversight Needed as Patient Records Go Digital" here. Starting in 2007, we posted quite a bit about the "Avandia case," which centered on whether Avandia (rosiglitazone, by GlaxoSmithKline), a glucose lowering drug for type 2 diabetes, presented excess cardiovascular risks, and how evidence about these risks was handled. The Nissen and Wolski meta-analysis [Nissen SE, Wolski K. Effects of rosiglitazone on the risk of myocardial infarction and death from cardiovascular causes. N Engl J Med 2007; 356, online here] was to be the first published article to combine data from all relevant clinical trials of rosiglitazone then available. Although two major trials of Avandia had been published, its manufacturer, GlaxoSmithKline, had performed many other smaller trials of the drug which remained unpublished. These results eventually appeared on a web-site run by GSK. However, this web-site was relatively obscure. It had not been created voluntarily, but in response to a settlement of legal action that alleged GSK had suppressed clinical research about its antidepresant paroxetine (Paxil). (See Steinbrook R. Registration of clinical trials - voluntary of mandatory. N Engl J Med 2004; 351: 1820-1822, link here and our post here). Nissen and Wolski found the site, compiled the results of trials on Avandia it contained, and combined their results with those of the few published trials in their meta-analysis. It is to the credit of Nissen and Wolski that they were able to figure out how to do this. It is not to the credit of GSK that they sat on the data from these trials, only put it on this web-site when compelled to do so, did not make any effort to publicize the web-site, and did not publish a meta-analysis done by company scientists that showed qualitatively similar results to that eventually done by Nissen and Wolski (see post here). I originally thought the case raised two questions: 1 - what are the benefits and harms of rosiglitazone as a treatment of Type 2 diabetes, and therefore for which patients under what circumstances should this drug be used? 2 - what barriers have prevented physicians and patients from getting the best possible answer to the first question, and what can be done about them? What were the key mistakes and lessons learned from the rosiglitazone affair? 1. The FDA rushed to approve rosiglitazone because of hepatotoxicity concerns about troglitazone, resulting in failure to consider the ‘signals’ suggesting cardiovascular toxicity. 2. An early critic of rosiglitazone was intimidated by company representatives and effectively silenced, a process antithetical to the principals of open scientific discourse. 3. Although early warnings were issued for the risk of heart failure, these warnings went largely unheeded in the face of aggressive marketing and promotion suggesting cardiovascular benefits. 4. No well-designed cardiovascular outcome trials were ever conducted for rosiglitazone, despite evidence suggesting increased cardiovascular risks. The only cardiovascular outcome trial was an open label study driven by a soft endpoint (hospitalization) with low adherence to randomized medications, seriously underpowered, and not completed until 10 years following launch. 5. Although both the FDA and the company were aware of evidence of an increased risk of adverse cardiovascular outcomes, certainly by 2005, neither warned physicians nor the public. 6. When a meta-analysis of rosiglitazone was eventually submitted for publication, the company subverted the editorial review process by stealing a copy of the manuscript and used this advance knowledge inappropriately to unblind an ongoing randomized trial. 7. Approval of diabetes drugs based exclusively upon their glycaemic effects has been short-sighted and scientifically unwise. Drugs that lower blood sugar may have other adverse effects that overcome any inherent benefits. 8. The failure of 50 other PPARs, many for adverse cardiovascular effects, went largely unreported because of negative publication bias. Such knowledge might have warned the medical community about the potential risk of these agents. In combination, the Nissen commentary, and the Senate report nicely summarized what I called the "Avandia spin cycle" above. It appears that research was suppressed, marketing was deceptive, and critics and whistleblowers were intimidated. I want to believe in America's pharmaceutical companies. I want to believe that people in these companies believe that the best strategy for success is to do what is best for patients. I want to believe that they are interested in scientific truth and eager to know of any safety issues and ready to share that information with the public. This week I was disappointed again. Over the years GlaxoSmithKline ( GSK - news - people ) has repeatedly reassured the public about the safety of its blockbuster diabetes drug Avandia. But this weekend the Senate Finance Committee released a report revealing that inside the company Glaxo's own experts and advisors were raising concerns about whether the drug could cause heart problems all along. The report, based on more than 250,000 internal documents, provides a rare and unsettling glimpse into the decision by company executives to deflect safety issues--even as their own experts agreed with conclusions of outside researchers who were warning the public about possible harms. The documents reveal that company researchers were deeply concerned about the cardiovascular safety of the drug as far back as 2003. The pages of the Senate report read like a spy novel: Glaxo receiving confidential documents leaked by a sympathetic academic who consulted for the company; the company embarking on a campaign to intimidate critics who warned about potential safety issues with the drug; and executives pulling strings to release data early from a scientific study that was supposedly controlled by an 'independent' committee of researchers. The story here is less about the drug--the Senate report breaks no new ground about Avandia's safety issues (even among experts there remains some controversy)--and more about the ethical behavior of a company. What is clear: Glaxo failed to disclose its own concerns even as it sought to discredit outside researchers who were raising questions about the drug. This type of behavior is eroding the public trust in the pharmaceutical industry. The fix is simple: Once a drug is approved, all data relevant to drug safety should be placed in the public domain and independent investigators across the country should be able to use it. There should be big financial penalties for withholding relevant information. Drug studies sponsored by industry must be truly independent--outside of company control. Companies should give outside investigators independence over every aspect of the study. There are too many examples of companies wresting control of clinical studies from their consultant investigators for reasons that seem more related to product promotion than clinical science. And on all sides there should be a commitment to protect against the intimidation of academics who are willing to raise questions about the safety and effectiveness of company products. The free flow of information about the effects of drugs and medical devices will best serve the public's interest. Here in the US, the debate over health care reform has reached a new phase. Today the President is hosting an attempt to get bipartisan discussion of reform going again. Now that there is a new opportunity for discussion, I submit that would be health care reformers ought to think about the underlying causes of our continuing problems with rising costs, declining access, stagnant quality, and demoralized health care professionals. One set of causes that is rarely discussed has to do with the distortion of clinical research by commercial research sponsors with vested interests in the results turning out in favor of their products, and the further distortion of clinical discourse and decision making by the deceptive marketing practices of these same organizations. If we started introducing steps like those suggested by Dr Krumholz into health care reform, maybe we really could decrease costs, increase access, improve quality, and renew professionalism. When I was in school in the 1960s, I first became a fan of the Hardy Boys mysteries, then the slightly more mature Tod Moran series. While on the Neiuw Amsterdam (the 1938 version) one day out of Kingston, Jamaica, I viewed Dr No, the first James Bond movie, a sophisticated spy thriller, not a spoof like some later entries in the series. I later read all the classics, like those by Agatha Christie, Earl Stanely Gardner, Rex Stout, Ellery Queen, etc. So it should be no surprise that I, like many other schoolboys and girls, collaborated to form an amateur detective and intelligence agency. But this was the sophisticated 1960s, so we called it the Department of Scientific Investigation (DSI). We skulked around New York City and its suburbs looking for spies, saboteurs, and common criminals. Luckily, we never really found any. As more realities intruded, I gave up any ideas about becoming an investigator or intelligence agent (although I still read mysteries, spy novels, and thrillers to this day, but mainly on airplanes.) Once I became a physicians, those days in the DSI seemed very remote (although the title does now seem like it ought to be part of the NIH ;-) ). However, after reading Dr Krumholz's article above, maybe we need to resurrect the DSI. At least, maybe we health professionals ought to consider how we can become better and more organized watchdogs for the kind of problems revealed in the Avandia case, and in many other cases discussed on Health Care Renewal. But if any of my old DSI colleagues want to set up a reunion, it would be fine with me. ADDENDUM (25 February, 2010) - see also comments by Dr Howard Brody on the Hooked: Ethics, Medicine and Pharma blog. The Argument Over Insurance Rate Hikes: A Systemic Problem with Health Care Organizations' Leadership and Governance? Congress opened an investigation Tuesday into Anthem Blue Cross' impending rate increases in California as President Obama cited the premium hikes -- some as high as 39% -- in his bid to pass national healthcare legislation. The House Committee on Energy and Commerce and its Subcommittee on Oversight and Investigations announced they were examining the increases, which are set to take effect March 1. The subcommittee has scheduled a Feb. 24 hearing in Washington, while an Assembly committee in Sacramento has set a hearing for Feb 23. Anthem of Woodland Hills is the state's largest for-profit insurer and a unit of Indianapolis health insurance giant WellPoint Inc.
At issue are increases in monthly premiums for many of Anthem's estimated 800,000 customers with individual health insurance policies who are not part of group coverage. Anthem began informing individual policyholders last month that prices would go up March 1 and could be adjusted 'more frequently' than typical yearly increases. The company would not say how high the rates could go or how many customers would be affected. Brokers and policyholders said many of the anticipated increases were 30% to 39%, the largest they could recall. The brokers said other insurers also were raising rates by double digits. Anthem maintains that its increases are necessary to meet growing healthcare costs, even as it voices sympathy for policyholders whose premiums are rising. In Sacramento, Anthem's president, Leslie Margolin, told the committee that much of the public frustration over the rate hikes was misdirected and should be aimed at the nation's healthcare system. 'This debate and this inquiry cannot and should not be just about the insurance industry or the delivery system or regulators or legislators or customers or brokers,' Margolin said. As we have discussed time after time on Health Care Renewal, there are multiple fundamental problems with health care in the US (and around the world.) The Anthem President above did not apparently specify what she thought these problems are. We have discussed in particular problems that arise out of abuse and concentration of power in health, particularly problems with the leadership and governance of health care organizations. We have suggested that such problems are major causes of the ever rising costs of, declining access to, and stagnant quality of health care in the US. These problems do not seem to particularly afflict WellPoint more than most other organizations, and certainly do afflict the other organizations with which WellPoint has to deal. On the other hand, WellPoint has certainly had its own share of issues. These have been sufficient to raise questions about the organization's leadership's transparency, ethics, and management abilities. While WellPoint perhaps should not be singled out for these sorts of problems, the extent they may have contributed to the costs it imposes, and its ability to manage its relationships with other organizations should be a source of skepticism about the idealized pronouncements of its leaders. California's largest for-profit health insurer violated state law more than 700 times over a three-year period by failing to pay medical claims on time and misrepresenting policy provisions to customers, the state's insurance commissioner said Monday. Anthem Blue Cross of Woodland Hills could face fines of up to $7 million stemming from the alleged violations from 2006 to 2009. Commissioner Steve Poizner said the insurer repeatedly failed to respond to state regulators in a 'reasonable time' as they investigated complaints over the last year. settled a RICO (racketeer influenced corrupt organization) law-suit in California over its alleged systematic attempts to withhold payments from physicians (see post here). subsidiary New York Empire Blue Cross and Blue Shield misplaced a computer disc containing confidential information on 75,000 policy-holders (see story here). California Anthem Blue Cross subsidiary cancelled individual insurance policies after their owners made large claims (a practices sometimes called rescission). The company was ordered to pay a million dollar fine in early 2007 for this (see post here). A state agency charged that some of these cancellations by another WellPoint subsidiary were improper (see post here). WellPoint was alleged to have pushed physicians to look for patients' medical problems that would allow rescission (see post here). It turned out that California never collected the 2007 fine noted above, allegedly because the state agency feared that WellPoint had become too powerful to take on (see post here). But in 2008, WellPoint agreed to pay more fines for its rescission practices (see post here). In 2009, WellPoint executives were defiant about their continued intention to make rescission in hearings before the US congress (see post here). California Blue Cross subsidiary allegedly attempted to get physicians to sign contracts whose confidentiality provisions would have prevented them from consulting lawyers about the contract (see post here). formerly acclaimed CFO was fired for unclear reasons, and then allegations from numerous women of what now might be called Tiger Woods-like activities surfaced (see post here). announced that its investment portfolio was hardly immune from the losses prevalent in late 2008 (see post here). was sanctioned by the US government in early 2009 for erroneously denying coverage to senior patients who subscribed to its Medicare drug plans (see post here). settled charges that it had used a questionable data-base (builty by Ingenix, a subsidiary of ostensible WellPoint competitor UnitedHealth) to determine fees paid to physicians for out-of-network care (see post here). So, WellPoint's subsidiary Anthem President Margolin was right in that her company, or insurance and managed care companies should not be blamed for all of our health care woes. But I submit that her company should no less have to address concerns about the transparency, honesty, and skill of its management, and how problems in these areas have driven up costs, decreased access, threatened quality, and demoralized health care professsionals than do leaders of other health care organizations. At the moment, such concerns are at best peripheral to the ongoing debate on health care reform in the US. I suggest they ought to be central. ADDENDUM (24 February, 2010) - see also comments on the Covert Rationing Blog, and on the Managed Care Matters blog. A review of several first principles might serve as a useful addendum to the posting "Health IT Caused Death & Injury, Extent Unknown, But Regulation Bad." First principle: A computer can free professionals from tedious, repetitive work which does not require judgment. It can provide facts and figures with lightning speed, giving domain experts more time to exercise their judgment thoughtfully [source]. Reality: HIT commonly makes work more tedious for clinicians, and there seems to be a not-so-subtle view in the industry that HIT can -- and should -- replace or oversee their judgment, and that clinicians are luddites for not embracing the "platform opportunities." First principle: Clinicians need sysems built upon user-centric design principles (PDF) that provide cognitive support (per the 2009 National Research Commission report on HIT), not inventory systems of medical data. Reality: the designer-centric Management Information Systems paradigms of the IT industry are widely used in HIT and are inappropriate in medicine with its "unbounded, poorly defined environment" of constant clinician improvisation that makes it appear to function smoothly (per a short article focusing on first principles itself, Nemeth & Cook's "Hiding in plain sight: What Koppel et al. tell us about healthcare IT", PDF). First principle: modern medicine is a field unarguably and unalterably having science at it roots, and the approach to tools used within it must itself be based on science. Reality: the HIT industry largely ignores science in favor of premature proclamations of "Mission Accomplished", in the form of self-exalting claims made without or with very little supporting evidence (a.k.a. 'puffery'), while studies that should be taken as a red flag about HIT (e.g., those highlighted at "2009 a pivotal year in HIT" languish in obscurity. These principles are largely common sense, but sense, unfortunately, seems all too uncommon in healthcare in 2010. A workgroup of the Healthcare IT Policy Committee, a federal advisory body, will hear testimony on the safety of health information technology during a public hearing tomorrow (Feb. 25, 2010) in Washington. On the eve of that hearing, an article "FDA Considers Regulating Safety of Electronic Health Systems" was published Feb. 23, 2010 by the Huffington Post Investigative Fund, authored by Fred Schulte and Emma Schwartz. The article is bylined with "Reports of Patient Harm Include Six Deaths in Two Years." In the past two years, the agency has received reports of six patient deaths and several dozen injuries linked to malfunctions in the systems, Jeffrey Shuren, director of the FDA’s Center for Devices and Radiological Health, said in testimony prepared for a government hearing on Thursday. “Because these reports are purely voluntary, they may represent only the tip of the iceberg,” Shuren said. In an environment of HIT "hold harmless" provisions and defects gag clauses causing executives to violate their fiduciary and Joint Commission safety standard obligations, sham peer review for "disruptive" or "non-team player" physicians, suppression of HIT research that could cast it in a negative light, conflicts of interest, whistleblower retaliation, and other dysfunctions in the health IT industry, I think "tip of the iceberg" may be a gross understatement. ... Many health policy experts believe that fostering greater use of health information technology, which officials refer to as HIT, will significantly improve the quality of medical care, cut costs and reduce medical errors and waste. The government hopes to have an electronic medical record for every American by 2014. These beliefs about HIT -- as it is designed, implemented and managed today -- are being contradicted by a growing body of literature, such as in a recent review article here broadly reviewing the literature, a new book here and a collection of 2009 releases here that is largely ignored by policy makers. This literature is largely ignored and unknown to policy makers while the relatively sparse literature "proving" the case for HIT is overemphasized, perhaps due to intense lobbying from the very wealthy HIT trade organizations as in the Washington Post here. But digital medical systems are not risk-free. Over the past two years, the FDA’s voluntary notification system logged a total of 260 reports of “malfunctions with the potential for patient harm,” including 44 injuries and the six deaths. Among other things the systems have mixed up patients, put test results in the wrong person’s file and lost vital medical information. That "260 reports" is also likely highly understated; there is no regulations nor accepted national reporting system for HIT problems as there is for drugs and other medical devices. Consequently most clinicians have no idea where to even report such problems and mishaps. Further, I have probably heard more than that number of "malfunctions with potential for harm" from just a few of my former students and other contacts now in the trenches in the past year or two, who report secretive "defects lists" numbering in the hundreds and even thousands in some organizations. A percentage of items on those lists fall into the "likely to cause harm if uncorrected" category. In one example cited in the FDA testimony, an operating room management system frequently “locked up” during surgery. Lost data had to be re-entered manually “in some cases from a nurse’s recollection.” Another system failed to display a patient’s allergies properly because of software errors. In another case, results from lab testing done in a hospital emergency room were returned for the wrong patient. None of the patients, hospitals or clinics are identified in the reports. I noted such a "computer crash/data loss" malfunction in HIT systems for ICU's and for Invasive Cardiology labs a decade ago. Nothing seems to have been learned by this industry about appropriate software engineering for healthcare. “The FDA recognizes the tremendous importance of HIT and its potential to improve patient care. However, in light of the safety issues that have been reported to us, we believe that a framework of federal oversight of HIT needs to assure patient safety,” Shuren said. He said that to date the agency has “largely refrained” from regulating the industry. Through an FDA spokesman, Shuren declined a request for an interview. I think plan #3 is the most consistent with regulation in other healthcare industries (pharma and medical devices), and is most ethical with regard to patient rights. I cannot think of any good reason why the HIT industry should be given special dispensation and accommodated with respect to regulation. The manufacturers of the systems generally have opposed regulation by the FDA, arguing in part that imposing strict controls would slow down the government’s campaign to spur widespread adoption of the technology. Regulation will not necessarily create a “safer” electronic medical record “and might actually limit innovation and responsiveness when it is needed most,” Carl Dvorak, executive vice president of Epic Systems Corporation, a Wisconsin-based company that builds the systems mainly for hospitals and large medical practices, said in his prepared testimony for Thursday’s hearing. The hearing is being held by an advisory group created by the stimulus law. One thing is certain: lack of regulation will NOT create a safer HIT environment. "imposing strict controls would slow down the government’s campaign to spur widespread adoption of the technology..."
They do not reflect any ethical medical values of which I am familiar. Yet some inside the industry favor stepped-up scrutiny. One major vendor, Cerner Corporation, which has voluntarily reported safety incidents to the FDA in recent years, signaled its support for a rule that would make those reports mandatory. Cerner has reported potential safety concerns because it is the “right thing to do,” a company official said. Others inside the industry have argued for approaches that don’t involve FDA oversight. James Walker, chief medical information officer at Pennsylvania’s Geisinger Health System, said in prepared testimony for Thursday's hearing that a “patient safety organization” should be created to collect “automatic, anonymous reporting of potential hazards” in electronic health systems. Such an organization already exists, known as the "FDA." Apparently Walker lacks experience in industries that are regulated by FDA such as the pharmaceutical and medical device industries. IT systems in those industries are regulated and in fact validated, by FDA - e.g., see "General Principles of Software Validation; Final Guidance for Industry and FDA Staff", PDF, introduced with the statement that "this guidance outlines general validation principles that the Food and Drug Administration (FDA) considers to be applicable to the validation of medical device software or the validation of software used to design, develop, or manufacture medical devices." Creating yet another new organization for validating HIT would be once again accommodating that industry, and calling for one is not explicable on any reasonable logic that I can surmise. The federal government’s Office of the National Coordinator for health information technology also has recognized the need for better surveillance. In January, the office issued a contract to address “undesirable and potentially harmful unintended consequences” of the systems. What took them so long, I ask? I could not agree more. Hoffman co-authored several articles on HIT risks (links can be found here). The oversight cannot be done by a rubber-stamp organization; it cannot be performed by those with conflicts of interest; it should not be performed by those who for years have minimized the problems. Even those who advocate tighter oversight agree that the technology has the potential to revolutionize health care. No, HIT will not "revolutionize" healthcare. Facilitate incremental improvements, possibly - but only if the IT itself is "done well." I believe the "R" word must be removed from our cultural lexicon about IT. It is an expression of a disease, the irrational overconfidence in computing in fields depending on human cognition and judgment. If the largest single flaw in healthcare provision were lack of information availability and retrieval capabilities, it would be a (somewhat) less risible, less hysterical assertion. The EU's evolving stance on HIT regulation is here. It's ironic that this observation comes from a non-physician (she is a professor of law), while too many HIT industry-connected physicians are chattering about regulation "stifling innovation." Blood for computers? Perhaps they'd like to return to the era when medical experiments such as this were permissible. Seeking regulatory acquiescence to special accommodations for a technology (HIT) already being pushed by government, which could potentially result in a government-corporatist alliance at the expense of the common person and of medical ethics, is quite troubling. A company that provides hospital pharmacy management services in Tulsa has agreed to pay $1 million in civil penalties for failing to account for large amounts of missing prescription drugs, the U.S. Attorney's Office in Tulsa announced Friday. Cardinal Health Pharmacy Services agreed to settle allegations with the federal prosecutors' office, which alleged that the company's two Tulsa pharmacies were negligent and violated several provisions of the Controlled Substances Act. An audit showed that nearly 400,000 dosage units of hydrocodone, a painkiller, and 234,000 units of alprazolam, an anti-anxiety drug, were unaccounted for at the Hillcrest Medical Center pharmacy from October 2005 through June 2007, according to a news release. The investigation also revealed that more than 30,000 doses of drugs at the Oklahoma State University Medical Center pharmacy were unaccounted for between April 2007 and July 2008. Federal prosecutors say a Princeton-based pharmaceutical company has agreed to pay $3.5 million to settle allegations that it claimed its heart drug was eligible for Medicaid reimbursement. The U.S. attorney's office in Boston said Monday that Eon Labs Inc., a subsidiary of Swiss company Novartis AG, submitted false reports to the government between April 1999 and September 2008 that misrepresented Nitroglycerin SR's regulatory status and failed to advise that the drug did not qualify for Medicaid coverage. Prosecutors say Eon Labs did so even after the Food and Drug Administration determined that there was a lack of evidence that Nitroglycerin SR was effective. Note that we most recently discussed a settlement by Novartis last month (January, 2010). The march of settlements continues. To repeat, seemingly ad infinitum, these are just the latest in a now long parade of settlements that serve as reminders of poor behavior by myriad health care organizations. As we have previously noted, these settlements seem to have little deterrent effect on future bad behavior. (Note that many large health care organizations have settled or plead guilty in several major cases since we started commenting on such settlements.) Usually, the companies involved only need to pay fines, and no individual who performed, directed or approved unethical or illegal acts will suffer any negative consequences. I submit once again that such fines are viewed merely as costs of doing business by the affected companies, and do not deter future bad behavior. Until the people who approve, direct, and perform unethical or illegal acts pay some penalties, expect such acts to continue. I again suggest that to truly reform health care, we need rigorous regulation of health care organizations that has the power to deter unethical behavior that may risk patients' health. It also said Dr Jiang failed to follow 'reasonable requests' to withdraw the submission. The disciplinary hearing, scheduled to take place on 18 February, will consider the allegation that Dr Jiang 'acted inappropriately in making a direct submission of an abstract to a journal outside unit protocol and in contravention of the terms of the research contract'. It will also consider the charge that she 'failed to follow a request by her head of unit and head of department to rectify her actions', which 'aggravated a situation which otherwise could have been quickly resolved'. A long time ago, in a galaxy far, far away, academics had the expectation that they could publish or present their research without first acquiring the express approval of their academic superiors (at least as long as their work was original, the research project was under their control, and that they had properly protected the rights of any human subjects). Furthermore, in at least the US, academics are citizens who expect to have free speech. But as academic institutions became more enamored of and dependent on "external funding," faculty were increasingly pressured to do only sponsored research. The growing dependence on sponsored research allowed the sponsors to try to get more control over how research was done. In the 1990s, there were several important cases in North America in which academic researchers tried to present or publish results that clashed with their research sponsors' vested interests. Doing so resulted in lesser or greater threats to the faculty. Two of the classic cases of research suppression in the 1990's demonstrated this issue. In the early 21st century, there was a case in the UK with spooky similarites to the present case: at the same university involved in the present case, and with at least one participant in common with that case. About a year after we started Health Care Renewal, in late 2005, we wrote multiple posts about the complex and unfortunate case of Dr Aubrey Blumsohn's attempts to keep a research project honest. Our most recent summary of the case was here. Dr Blumsohn was also doing clinical research on the drug Actonel, again at the University of Sheffield. He was denied access to the very data he had collected, and to analyses of the data by Procter and Gamble, the then manufacturer of the drug and sponsor of the research. Dr Blumsohn found that Procter and Gamble seemed to be arranging for ghost-writers to author abstracts about the research based on these hidden analyses. After he complained to numerous officials at Sheffield, including Dr Richard Eastell, to no avail, he spoke to the press, and thereafter lost his academic position. The case was just recapped in an interview of Dr Blumsohn published in the British Medical Journal(5). So we seem to have made little progress. Most clinical research at academic medical institutions is sponsored by firms that make drugs and devices. The firms try to secure contracts that give them control over most aspects of the research. Thus, they can determine how the research is designed, implemented, ana analyzed. If the resulting manipulation still does not yield results that make the firms' products look good, the sponsors can then just suppress them. Academics who naively think it is their duty to find and disseminate the truth are in jeopardy when they attempt to present or publish results that challenge their research sponsors' vested interests. Suppression of clinical research, however, is bad for patients and honest health care professionals, since it misleads about the benefits and harms of tests and treatments. Suppression of clinical research dishonors research subjects who volunteer for studies, often at risk to themselves, thinking they may help to advance science and clinical care. 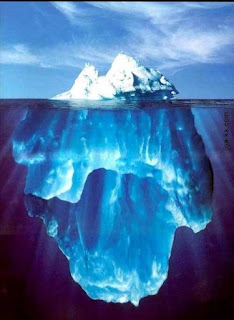 Suppression of clinical research undermines the fundamental mission of academia: to seek out and disseminate the truth. Those who truly want better health care, here in the US and globally, should advocate for clinical research done without the influence of those with vested interests in how the research comes out. Thanks to an anonymous Health Care Renewal scout who located the Times article. Networked EMR's and Healthcare Information Security: Practical When Massive IT Security Breaches Continue? At "Networked, Interoperable, Secure National Medical Records a Castle in the Sky?" I wrote that the holy grail of electronic medical record efforts - the creation of a networked, interoperable, secure national medical records system - may be far more difficult than anyone expected due to vulnerabilities in current, widespread IT networking and OS platforms. One can only imagine how internet-connected hospitals, generally an IT backwater, might fare under such an onslaught. ... In more than 100 cases, the hackers gained access to corporate servers that store large quantities of business data, such as company files, databases and email. They also broke into computers at 10 U.S. government agencies. In one case, they obtained the user name and password of a soldier's military email account, NetWitness found. A Pentagon spokesman said the military didn't comment on specific threats or intrusions. At one company, the hackers gained access to a corporate server used for processing online credit-card payments. At others, stolen passwords provided access to computers used to store and swap proprietary corporate documents, presentations, contracts and even upcoming versions of software products, NetWitness said. Data stolen from another U.S. company pointed to an employee's apparent involvement in criminal activities; authorities have been called in to investigate, NetWitness said. Criminal groups have used such information to extort sensitive information from employees in the past. Perhaps future Internet technologies will reduce or eliminate the problem, as one reader suggested in a comment to my aforementioned post. I do not believe, however, that patients and their medical records should be used as guinea pigs until those new networking and security technologies are widely deployed and well-proven. In effect, this is probably not a good time for actual records-level interoperability to be deployed in any manner other than in consideration of a future strategy. Operationalizing that strategy should probably await a time when the "digital ether" in which the data resides and moves is more mature, unless proprietary networks and technology are to be used and without connection to the Internet. Planning data-level compatibility between systems, on the other hand, is work that should continue. Finally, the layoffs and staffing levels in today's IT departments (at both vendor and user shops), plus the outsourcing of critical IT functions to overseas contractors where workers' loyalty to the primary firm is questionable at best, may be a contributing factor to the nakedness of corporate America's information systems. University of California CEO - You Can Reduce My Pay if "You Throw In Air Force One"
It's been a seriously dramatic year at the University of California, where hundreds of students seized buildings, demonstrated and shut down regents meetings last fall to protest rising tuition and the perceived privatization of the public school. It's also been a satirically dramatic year, thanks to the UC Movement for Efficient Privatization, a fledgling group of mostly grad students in business attire that uses humor tinged with sarcasm to lampoon UC officials. Their own name is an example. Many UC students believe leaps in tuition and reduced state funding are turning the public university into a private institution. UCMeP has made itself known on the Berkeley campus since September. 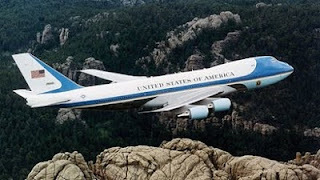 That's when UC President Mark Yudof, who earns about $600,000, drew students' ire for telling the New York Times he'd take a $200,000 pay cut for salary parity with President Obama - if Air Force One were part of the package. While Yudof's response is clearly sarcastic, he obviously never substantively addressed why he is entitled to be paid comparably to the President of the richest country in the world. We have written a few times about the travails of the University of California, some of its multiple campuses, and in particular its medical schools and teaching hospitals. Most recently we have written about how leaders of its teaching hospitals also seemed to feel entitled to substantial compensation, including bonuses for "performance" even when their institutions were receiving bad publicity for quality problems (posts here and here). Again and again we see examples of leaders of academic medical institutions, and health care organizations in general who seem to feel entitled to be judged differently, and rewarded differently than the common folk. These entitlements exist even when the economy, or the financial performance of the specific organization prevents other people from making any economic progress. This entitlement exists even if those other poeple actually do the work, and ultimately provide the money that sustains the organization. Quintiles to More Heavily Directly Invest in the Drugs Which it Evaluates - But Not to Worry, Says an Expert? Pharmaceutical companies previously did all their own research and testing and submitted the results to the Food and Drug Administration for approval to put a medication on the market. Since the 1990s or so, Big Pharma has farmed out more and more of that testing to companies like Quintiles Transnational Corp., which grew quickly to meet the demand. Now Durham, N.C.-based Quintiles is the world's biggest contract research organization, and more than ever, it's using its deep pockets to entwine itself with the pharmaceutical companies, fronting them cash and services for a piece of the profits once a drug is approved. Quintiles' decision to become more aggressive in taking investment risks comes at a time it's betting drug makers can use the resources it can offer, both cash and services. 'They're both currency for managing risk and having skin in the game,' said Ron Wooten, a Quintiles executive vice president who heads the company's capital investment group. Controversy over creating the drug investment unit in 2000 was key in pushing Quintiles founder Dennis Gilling and several private-equity firms to buy out shareholders for $1.75 billion and take the company private again in 2003. Wall Street analysts complained they couldn't estimate what the drug investments were worth, prompting Gilling and others to decide the company's stock was undervalued. The private company no longer publishes its profits. It claims revenues of about $3 billion a year. That's also about what Quintiles has invested in other drug companies. Quintiles appears to be uniquely positioned to both invest in and test potential medications. None of the half-dozen major shareholder-owned contract research organizations will have a drug-investment division after Wilmington, N.C.-based Pharmaceutical Product Development Inc. spins off its unit in a few months, Coldwell said. The payoffs for the risk of developing a drug can be huge. In 2002, Quintiles took a chance on Eli Lilly and Co.'s antidepressant Cymbalta. Quintiles said it invested $125 million in cash, then spent another $400 million on a sales force of more than 550 after the product launch. Cymbalta is now Lilly's second-biggest drug. Quintiles said it's brought in more than $700 million so far for a stream of royalties lasting to 2012. The article raised a concern that "the buffer between drug makers and testers are again blurred." Wooten, the Quintiles executive, doesn't see his company's increased interest in bringing drugs to the market affecting its testing objectivity. Instead Quintiles is the outsider turning a hard eye on which pharmaceuticals will become profitable. The FDA preserves the integrity of testing in a landscape already pockmarked with potential conflicts of interest that include company-sponsored academic research and investigators testing drugs while owning shares in companies that own the drug, said Kenneth Getz, a senior fellow at Tufts University's Center for the Study of Drug Development. The FDA's view is that any company with a financial stake in a potential drug will face similar scrutiny from the agency. Besides, pharmaceutical companies have navigated the tricky territory that comes with testing, Getz said. So have the companies like Quintiles that have taken on the outsourced work, he said. Here on Health Care Renewal, we have discussed how the conflicts of interest that are now pervasive in health care can adversely affect clinical care, teaching, and research. We have looked at how clinical research sponsors, who have a vested interest in having the results favor the products and services they sell, may manipulate the design, implementation, analysis, and dissemination of research, and when all else fails, suppress unfavorable results. We have also looked at problems with the ethics and quality of research done by contract research organizations, who are, after all, paid by companies again with vested interests in selling particular products or services. Given all that, one may argue that having contract research organizations invest in particular drugs or devices which they are also evaluating through clinical research may not make things much worse. However, at the least, it seems to me that it further obfuscates conflicts of interest that may lead to biased research results, dishonoring the patients who volunteered for the trials, and biasing the information on which patients and physicians make decisions. Finally, I should note how Quintiles new investments in specific drugs was defended in the article. The article quoted Quintiles executive vice president Ron Wooten suggesting that Quintiles might be able to be objective in making the original decision to invest in a drug. He conveniently did not address what might happen after the investment was made, when Quintiles was performing, analyzing, and reporting clinical research on a drug or device in which it had invested. receives unrestricted grants from pharmaceutical and biotechnology firms, as well as companies that provide related services to the research-based industry (e.g., contract research, consulting, and technology firms). These grants represent approximately 40% of Tufts CSDD’s operating expenses. He holds an MBA from the J.L. Kellogg Graduate School of Management at Northwestern University and a bachelor's degree, Phi Beta Kappa, from Brandeis University. Mr. Getz worked for over seven years in management consulting, where he assisted biopharmaceutical companies in planning and implementing drug development strategies. He is also the founder and former CEO of CenterWatch. So the other lesson from this bit of news is how the information the public, health care professionals, and policy makers receive about health care policy is frequently shaped by people with horses in the race, but that such influences are rarely disclosed. This article included an interview with a single apparently academic expert who provided reassurance that the conflicts of interest discussed in the article were not really so worrisome. This expert, however, failed to disclose his own extensive, albeit somewhat indirect ties to a variety of corporations that might benefit from the conflicts discussed as the main topic of the article, including corporations that were directly involved in them (Quintiles and Eli Lilly). Maybe because the reporter thought that the expert was unbiased, there was no attempt to find a contrasting opinion. So I say again, again, again, health care professionals, policy makers, and people in general need to be extremely skeptical of most of the apparently unbiased pronouncements made about medical and health care policy issues in the media. It would be a small step toward a more transparent discussion if those who expressed opinions would also fully disclose in detail their relevant conflicts of interest. As we have cast about for reasons behind this important and unfortunate transformation, we noticed that many of the members of the boards of trustees of some of the most prestigious universities that house medical schools, medical schools, and teaching hospitals seemed to be leaders in the finance industry. The importance of that finding became more relevant after the global financial collapse, aka "great recession," became evident. Since then, we noted the influence of finance leaders on the leadership of Dartmouth College, Harvard University, Yeshiva University, and the Hospital for Special Surgery. Although it seems that the complex relationships between various "masters of the universe" and academia, particularly academic medicine ought to have generated considerable discussion, they remained almost as anechoic as many of the other issues discussed on Health Care Renewal. "There are lots of things in a complex institution that go on." So, "you're not in charge of everything that your friends do and every policy that organizations that you're affiliated with issue." "We had a big push to think about how we could improve the knowledge and ability of women to manage their financial affairs." Also, "at the same time, there was a good deal of interest in the fact that women have not done so well in the financial sector and on Wall Street." The goal was "to make certain fields more accessible to women and minorities through her service on the boards of Goldman, Texas Instruments and Pfizer." "She called her work with women and minorities on boards meaningful to her in 'a way that a lot of people won't understand.'" She stated "the seniority she now enjoys on Goldman's board allows her to advocate for programs to help women and minorities." - She implied that she served on the board to learn something about economics, "her service on Goldman's board gave her the economic savvy to take certain risks...."
So in summary, in her role as a member of the board of Goldman Sachs, one of the most important financial companies in the world, which had major involvement in the events that lead to the global economic collapse, or "great recession," President Simmons claimed that her major role was to advocate particular political positions on the board, implied that she did not know much about the company's core business when she joined the board, and took no responsibilities for any actions of the company which might have inspired criticism. Presdient Simmons' responses might have made sense were she just a member of an advisory board on diversity. However, she is was a member of the board of directors. In this interview, she seemed to ignore her fiduciary duties as a board member to show "unyielding loyalty" to the stockholders of the company and their interests [Per Monks RAG, Minow N. Corporate Governance, 3rd edition. Malden, MA: Blackwell Publishing, 2004. P.200.]. She in particular seemed to disavow any responsibility for overseeing the actions of hired Goldman Sachs management. In all the bellyaching about the governance of the biggest banks, and the fact that their boards were spectacularly unqualified to provide any kind of oversight of what they were doing, Goldman Sachs has gone largely unmentioned. But what’s true of Merrill Lynch and Bank of America is true of Goldman too: its executives need some kind of adult supervision, seeing as how they work for their shareholders, rather than just for themselves. Goldman Sachs Group Inc., the most profitable securities firm in Wall Street history, said Ruth Simmons will leave its board after 10 years because of 'increasing time requirements' in her role as Brown University president. This despite the small fortune that President Simmons had made learning to develop "economic savvy,"
According to a Feb. 5 filing with the U.S. Securities and Exchange Commission, Simmons owned 27,386 restricted stock units in Goldman Sachs, worth $4.2 million at yesterday’s closing share price of $153.93. According to the filing, the units convert to shares on the first trading day in the third quarter of the year following her retirement from the board. Simmons also has 10,000 options that she can exercise on the date she ceases to be a director, according to the filing. I said after Tuesday’s interview with Simmons was published that she seemed to think about her membership on Goldman’s board much more in terms of what it could do for her and her pet causes than in terms of being a shareholder representative tasked with overseeing senior management, and I called for a revamp of the board. Friday’s news is exactly the step in that direction that I was looking for: maybe Simmons took my comments to heart! So in the end, the complex relationships among academic, and academic medical leaders and the finance industry are at least less anechoic. The issue is likely not over at Brown. While the initial Brown Daily Herald interview focused on whether President Simmons' position on the Goldman Sachs board might have lead to a direct conflict of interest, he did not ask whether her position in the leadership of Goldman Sachs had any relevance to the prominence of financial leaders on the Brown Corporation. In fact, the same day that the Brown Daily Herald published the interview, it published an article on the legal travails of a Brown Corporation who has become one of the richest hedge fund leaders in the world. The 2008-09 Brown Corporation (webpage no longer works here, but cached here) included three other current or retired Goldman Sachs leaders, a former partner, head of merchant banking, and former leader with less specified responsibilties. It also included numerous other leaders of various other finance companies. In the aftermath of the global economic collapse, and in an ongoing health care crisis, it seems reasonable to hypothesize that some of the problems of academia, and particularly the problems of medical academia, may have been at least enabled by leadership more used to working in an increasingly amoral marketplace than to upholding the academic mission. I hope that Brown's latest travails will inspire more interest in who now leads academia, especially medical academia, how they got there, and what they have wrought. Academic medical institutions and other not-for-profit health care organizations need leaders who value their missions more than the money they may bring in.